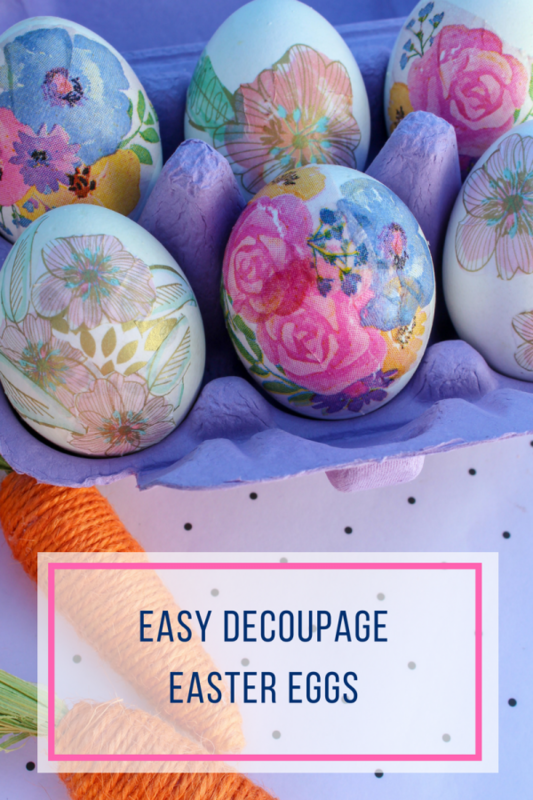 These decoupage Easter eggs are super simple to make and look beautiful on your table. 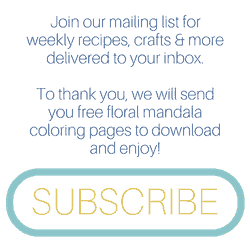 Decorate hard boiled eggs to eat or use blown out eggs for decorations to use again and again! 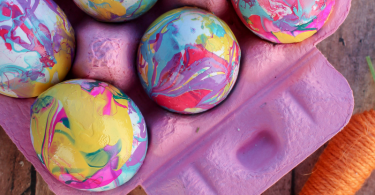 Check out our easy Marbled Easter Eggs too! 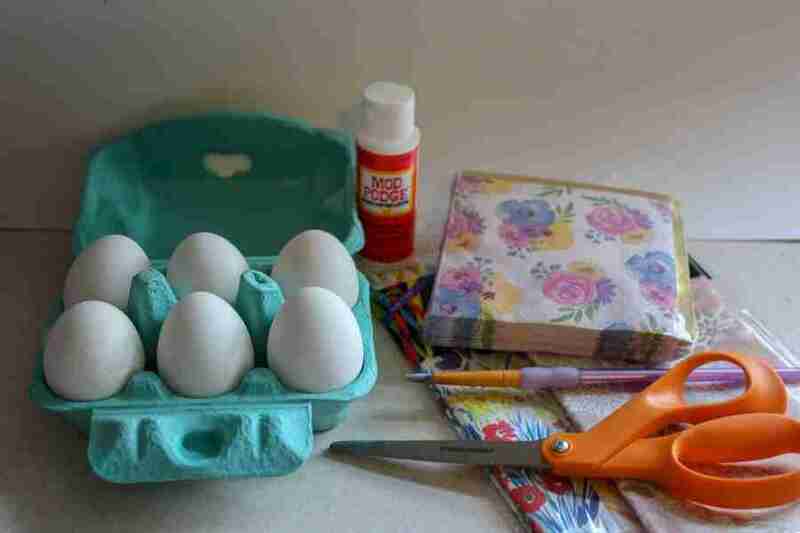 Either hard boil your eggs and allow to cool or blow out your eggs for decorations to reuse year after year. 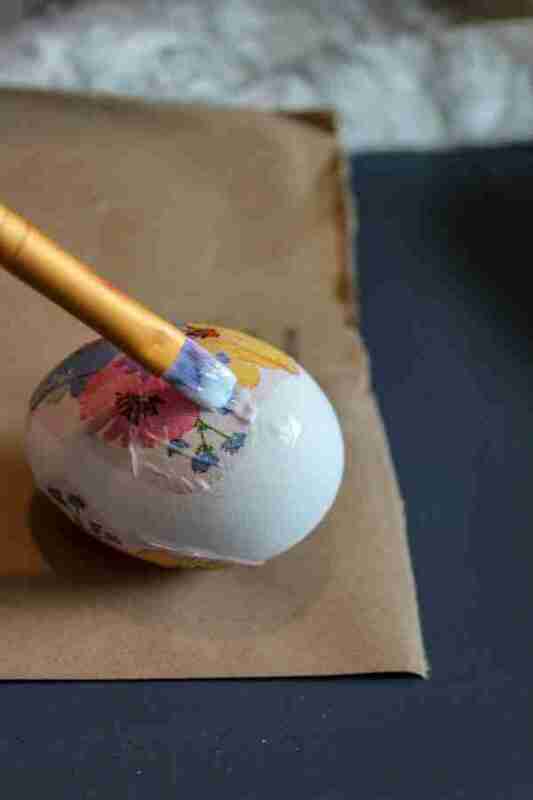 To blow out your eggs, simply stick a pin to make a small hole on one end. On the other end, use the pin to make a slightly larger hole. Blow through the small hole so that the egg pushes through the larger hole. Add warm water, blow again and let dry. 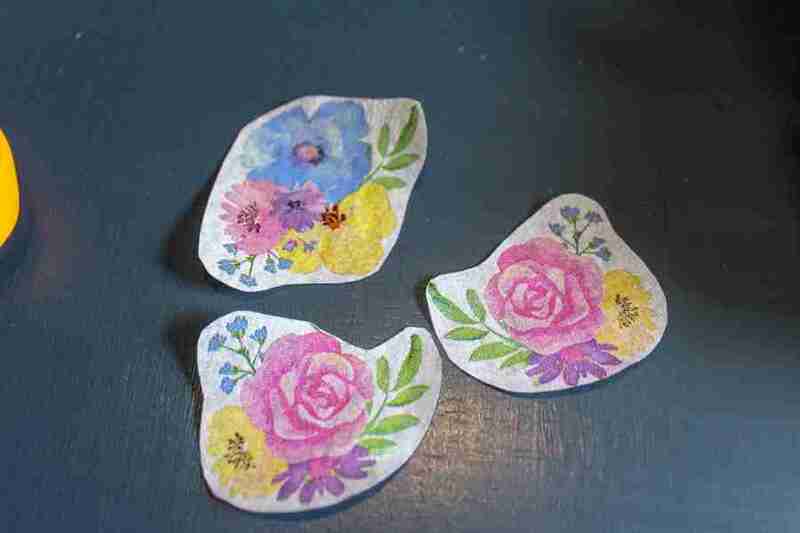 To make drying easy, stick flat head pins into a piece of floral foam. 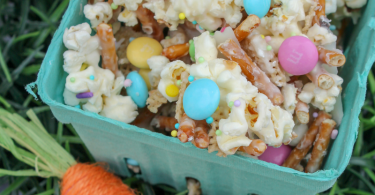 This will keep your eggs raised up and make drying super simple! Choose your napkin or tissue paper you want to use. 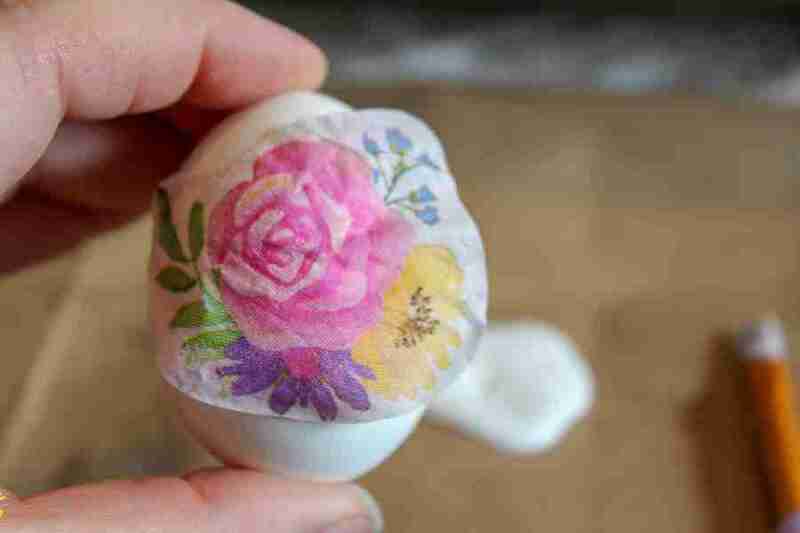 Cut out around the areas you want to decoupage. 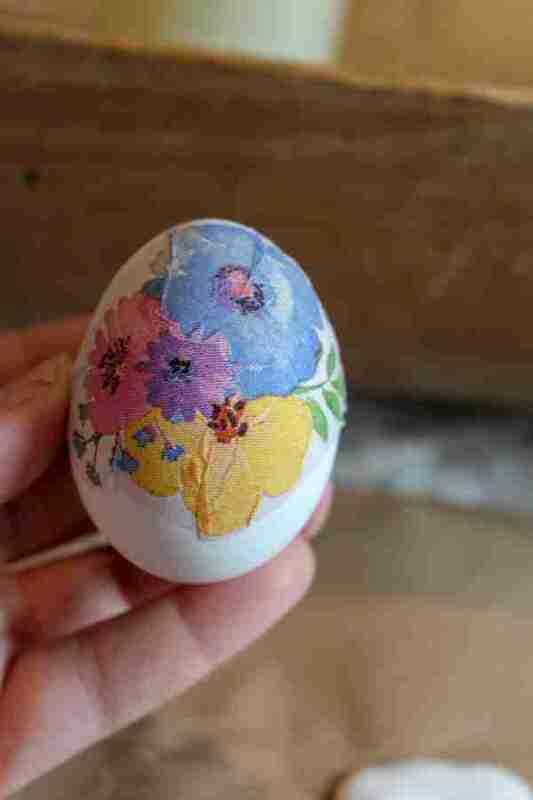 Put a thin layer of Mod Podge on the back and stick to your egg. You can go for a simple look of just one or layer them. 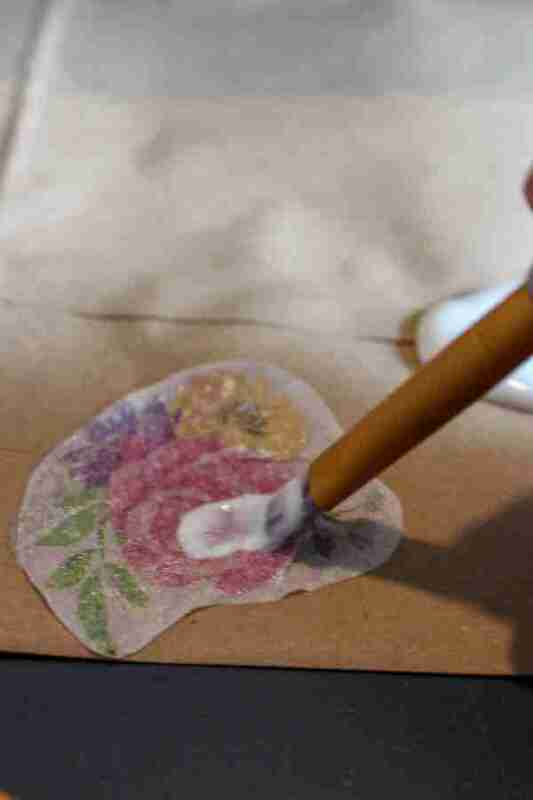 put a layer of Mod Podge over the top and set on your floral foam to dry.